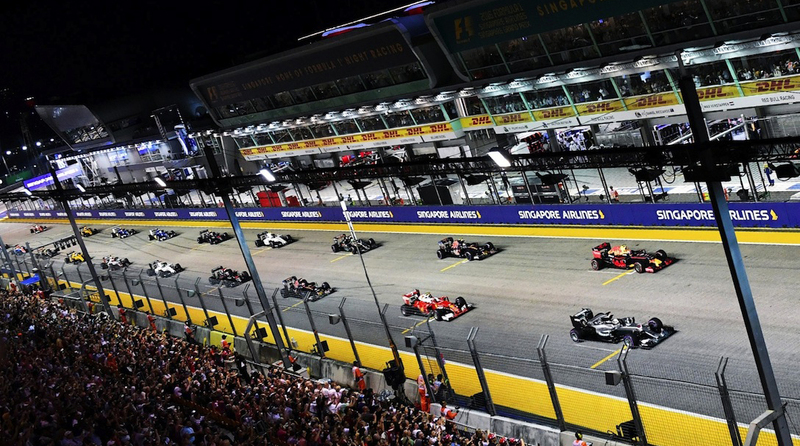 From the King of Mandopop to the world’s top DJ, the spectacular entertainment line-up at the 11th edition of the Formula One night race left hearts racing. 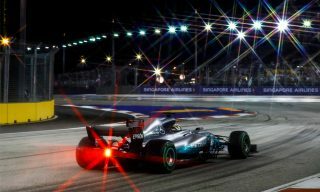 The electrifying weekend of Singapore Grand Prix (September 14-16, 2018) came to a close as Mercedes driver Lewis Hamilton took top place after starting the race in pole position. 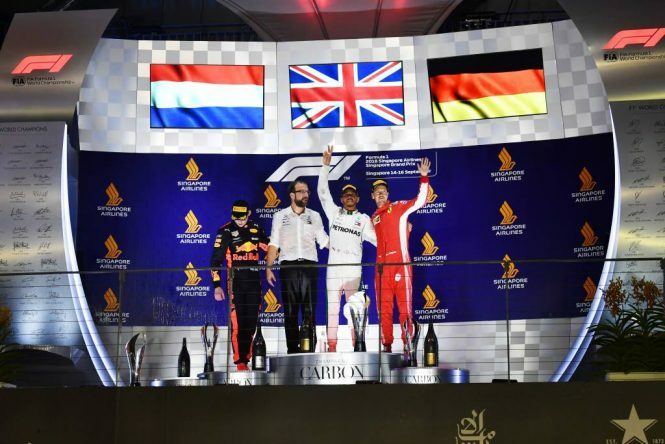 Coming in second was Red Bull’s Max Verstappen, while Ferrari’s Sebastian Vettel clinched the third spot at the 11th edition of the race, which took place at the Marina Bay Street Circuit. Equally thrilling were the off-track concerts that truly cemented the race event as one of Asia’s very best — with stellar performances from Mandopop king Jay Chou, Dutch DJ Martin Garrix, and more. Here’s a recap of our favorite moments. 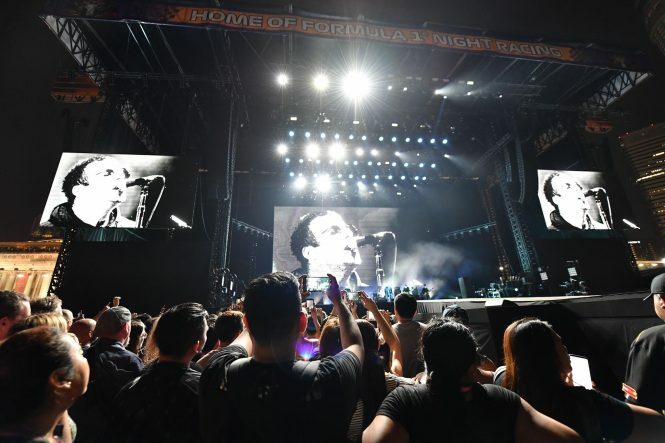 Rivaled only by the bustling atmosphere of the Singapore Grand Prix, the first night’s headlining act revved up a crowd of more than 45,000. 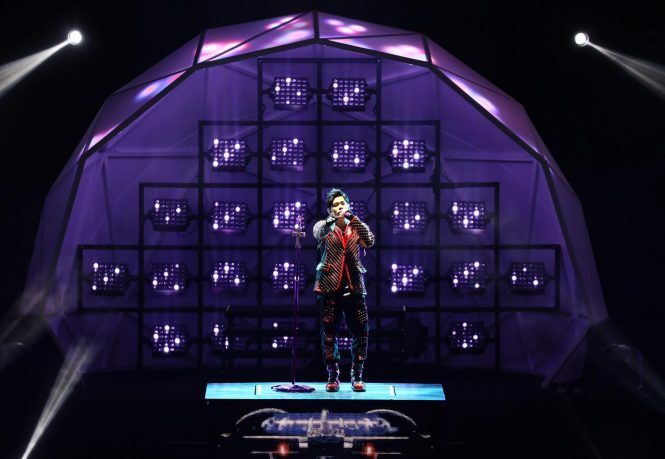 Jay Chou, the king of Mandopop took to the stage, incorporating various racing elements into his gig — including clips from his street racing flick Initial D (2005), moving gears on his stage piano, and striking visuals depicting speedy cars. The 75-minute show showcased newer songs alongside early tracks, including crowd favorites like Starry Mood from his 2000 eponymous debut and Dad, I’m Home from second album Fantasy (2001). Fresh hits such as If You Don’t Love Me, It’s Fine and Waiting For You left fans waving their arms in delight. Sharing the stage was Singaporean artist Joanna Dong, who picked him as her mentor on music competition Sing! China in 2017. Bursting out sleek dance moves, the duo performed upbeat hits like Cowboy is Busy and Sailor Afraid of Water. Between twinkling ivory keys during slow ballads and smooth rapping, the seasoned performer showed off what he was best at — tugging the heartstrings of his loyal fans with saccharine love songs like Confession Balloon. Last seen performing at the Singapore Grand Prix in 2013, The Killers returned to grace the marquee stage at the Padang on the second evening of the race event. Together, the American rock band and British singer Liam Gallagher roused a 60,000-strong audience with a mix of recent album releases, as well as past favorites. Gallagher’s set whisked audience down the memory lane with songs from his former band, Oasis, such as an instrumental piece ****in’ in The Bushes (2000), as well as Morning Glory from their 1995 sophomore album. However, he also offered up new hits from his solo debut album, such as As You Were. Meanwhile, The Killers got the crowd dancing with their seamless blend of rock and synth-pop, with trippy laser lights and visuals accompanying dance-worthy classics like Mr. Brightside and All These Things That I’ve Done. Amid past dating rumors, Dua Lipa and Martin Garrix showed off incredible onstage chemistry during the latter’s set on the last day of the Singapore Grand Prix. The two performed Scared To Be Lonely, which showed off the British singer’s powerhouse vocals and the Dutch DJ-producer’s playful synth hooks. Dua, who is the most-streamed female artist in the world, had taken to the stage earlier in the evening for a pre-race concert featuring infectious songs like New Rules and No Lie. The dancefloor was enlivened with One Kiss, her collaboration track with Calvin Harris, as well as brooding ballads like Thinking ‘Bout You. On the other hand, top DJ (according to DJ Mag’s Top 100 poll) Garrix raised the bar with a 90-minute set filled with electronic dance music (EDM) hits like Animals and Together. He also surprised the audience with an unexpected riff on Ocean, a ballad recorded with American singer-songwriter Khalid, with a drum and bass breakdown.